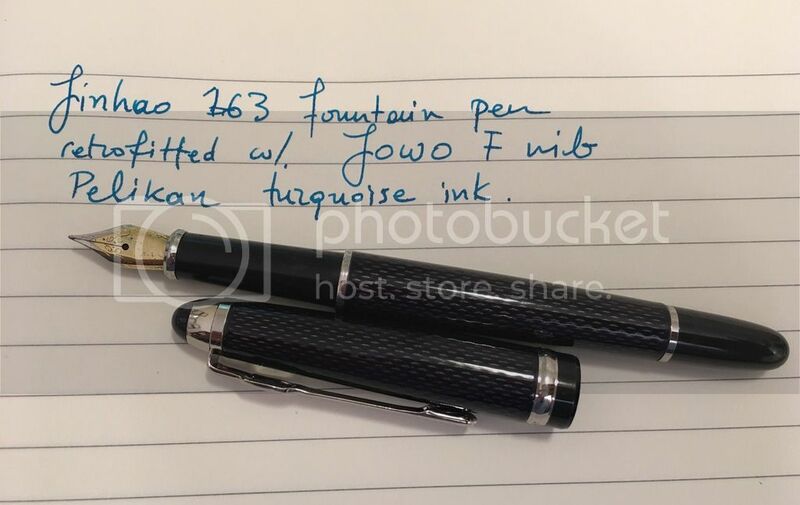 I've been searching a while and can't find a list of pens that take JoWo #5 nibs. If you could say which pens you have successfully put these nibs in without any adjustments or violence to the pen or nib, I believe many on here would be very appreciative. Plenty has been said about #6 nibs, but not so much on #5s. Note: I'm specifically referring to #5 nibs made by JoWo alone and just the nibs themselves, not feeds or housings. I also mean nib-pen combinations that have actually been tried successfully, not theoretical possibilities based on measurements (I've found that nib thickness and other variants have been the undoing of many alleged claims to swappability). The twisb nibs will fit a jowo 5 housing, and the reverse is true. Jowo 5 will fit the twisb. 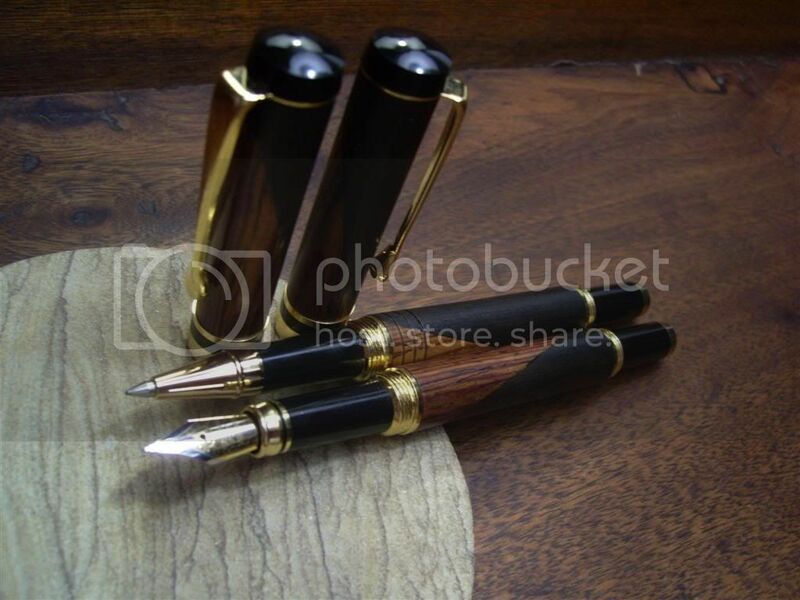 Edison and Franklin both make pens for Jowo 5. I know much more about the jowo 6 so my knowledge is a bit limited. I'll check around and come back to this thread. 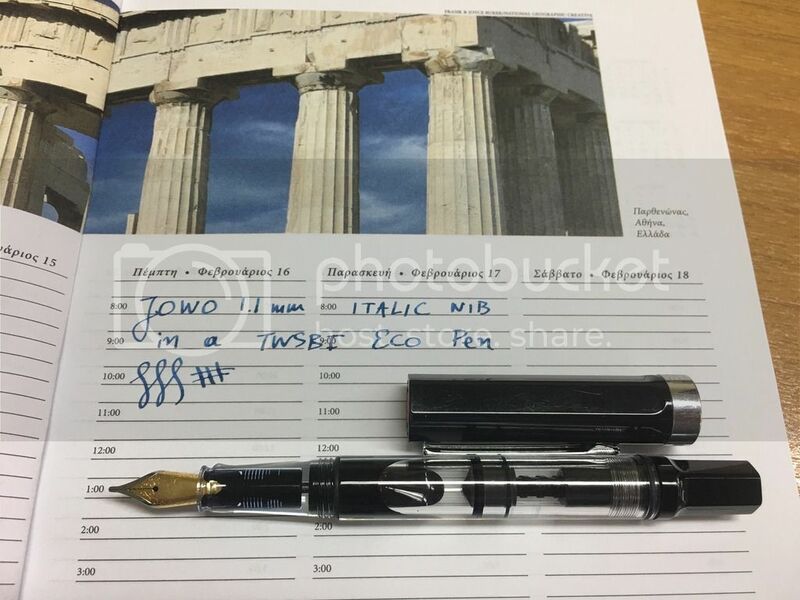 I've purchased a number of JoWo #5 nibs from fpnibs.com that were modified to fit the TWSBI Eco, Diamond Mini etc - they no longer offer this option, as they now sell TWSBI replacement nibs. Their advice to me at the time though (which others on this forum have confirmed) is that a standard, unmodifiied JoWo #5 nib will *not* fit in a TWSBI pen - they're just a little bit too loose. Thanks for the input so far! So TWSBI pens can't take unmodified JoWo #5 nibs, but some Edison and Franklin Christof pens can. Which specific models from these 2 makers can take these nibs? I've also read that Nemosine Fission pens can take this nib. Can anyone confirm that from experience? 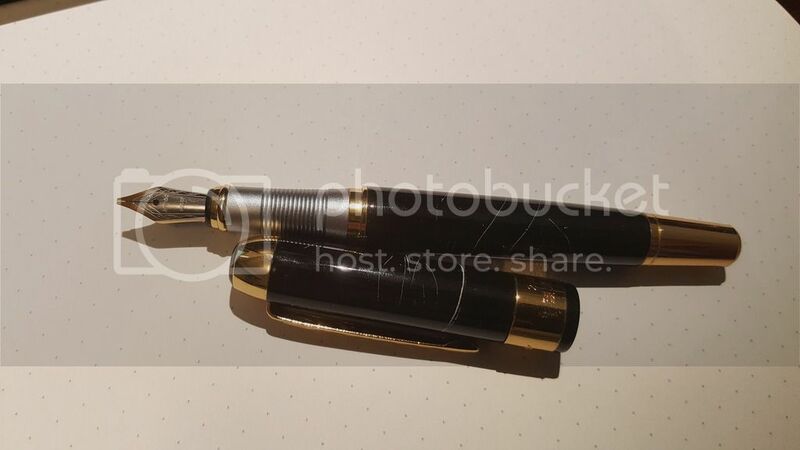 "We can offer a TWSBI fountain pen with a JOWO steel or 18K nib. For this option, please contact us." what do they mean by this ? just emailed them and asked "do #5 jowo steel fit twsbi 580 housing "
Edited by frogbaby, 17 May 2017 - 01:39. Thanks for updating your post....Pablo and Esther have amazing customer service and I can't wait to order a slew of nibs from them (which is what prompted the OP). So we know for sure that TWSBI pens can't take a JoWo #5 without modification. 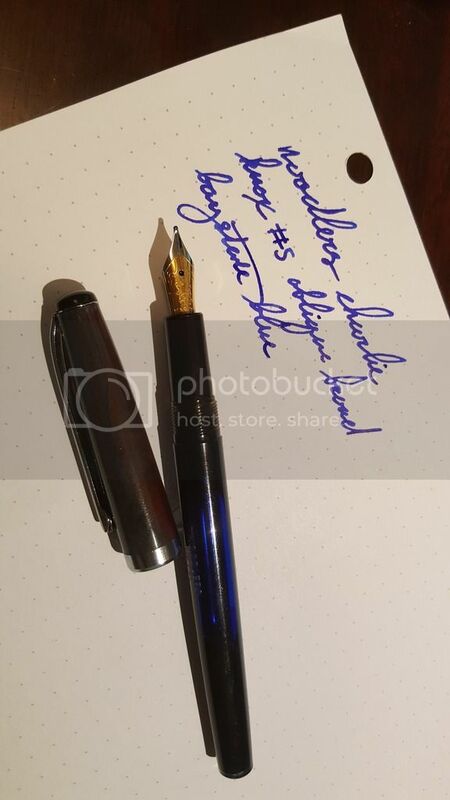 Can anyone confirm which Nemosine pens will take the #5 as is? - No affiliation with pen industry, just a pen hobbyist. Interesting! Did you just buy the nib unmodified and stick it in the pen without any issues? I've read so many stories on here about the stock JoWo #5 not fitting into the ECO. Truth be told, I had an issue with another Jowo #5 nib that I had custom ground by FPnibs some time ago. The nib worked fine in my TWSBI Eco, but it was too crisp for my liking, so I attempted to modified it. That was on my earlier days of pen learning, but I remember at the end I ruined this nib at my own fault and threw it away. With this specific modified nib, I remember I did had issues with minor ink leakage inside the cap when I carried the pen around in my pocket, but I attributed this to my own nib modification. With my present #5 Jowo nib, I do not have any problem using it in my TWSBI Eco, but then again that is just me. Sorry I could not be of any more help.  Edited by Frank66, 18 May 2017 - 08:57. I have the Edison "Pearlette" which uses the JoWo #5 nib. I have it in an EF. So it sounds like it's hit or miss with these nibs in TWSBI ECOs. Thanks for the information about the Edison Pearlette. 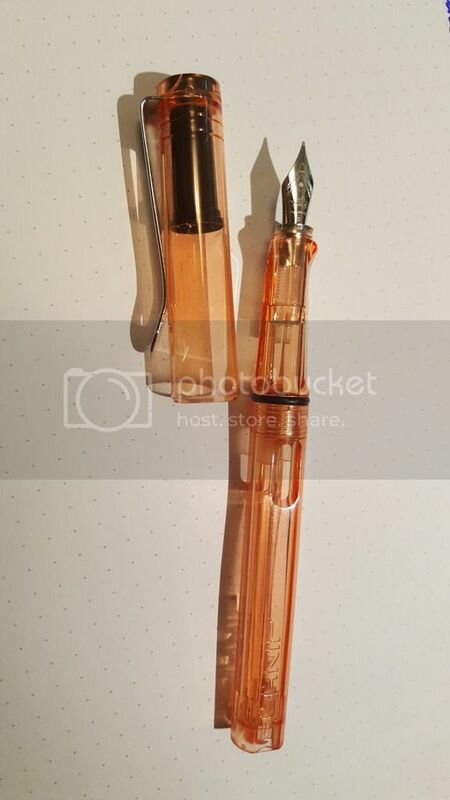 Has anyone successfully put a JoWo #5 nib in any Chinese pens without any adjustments? It would be great if there was something cheap that could take this nib the way the Jinhao X750 easily accepts #6 nibs. I swapped out a #5 JOWO without any fuss on a Baoer 051. It is a crisp italic I had ordered from fpnibs. - and a few other that I do not remember at present. Edited by Frank66, 19 May 2017 - 18:52. I had looked at the other thread before, but hadn't seen anything specifically about JoWo #5 nibs. It looks great in the Jinhao 163. I have a 165 and the sections seem to be nearly identical, so maybe I'll take the risk and see what happens. My concern is that the nib on the Jinhao 165 is really thin; I'm afraid the JoWo nib will be too thick to fit properly. I've tried swapping nibs between the 165, 992, and Kaigelu 356 without any success due to varying thicknesses (although the shape and width of the nib were not problems). Do these Jowo nibs fit say the Pilot custom 74 or the Custom Heritage 92 pens? Please excuse my lack of knowlege. I am very new to these pens - still very much a Padawan learner. I have had nothing but trouble from my pilot nibs. I think I may be using far too much pressure and it might be good to switch to a lesser steel nib for a while till I can learn to loosen up. Also - if anyone can recommend a good nib repairman either near Pittsburgh or by mail who works with Pilot pens, I would be grateful for a recommendation. Edited by thmsjordan, 27 May 2017 - 16:10.
what exactly is the problem with your 74 nib ? Yeah I wouldn't advise swapping a nib on a pen that nice. The cure will be changing your writing style to be less "ham-fisted." There are lots of great posts on here about how to reduce pressure when writing. What helped me the most was practicing a few minutes everyday with a dip pen (the nib will literally break if you use pressure). I recently started using my old #5 nibbed pens a TON because I just discovered that knox (maker of super mediocre nibs) makes an oblique broad/double broad #5 nib that is by far the smoothest steel nib I've EVER used, unbelievably juicy, crisp ground with a lovely sweet spot and perfect fit and finish with no tine misalignment, baby's bottom, and with a gorgeous grind on the iridium. No idea where this sudden sprout of super quality came from, but this nib is GLASS, and all of $12 shipped. I have two OBB's and an OB now, and now I have a real reason to use my BSB charlie and my jinhao 992 (which I like but had a boring nib) and LOVE them. Also, most of the smaller (non "majestic") fountain pen kits for lathe projects use #5 nibs of poor quality, which makes them excellent candidates for swaps, particularly the aforementioned knox #5 OBB/OB. Edited by Honeybadgers, 28 May 2017 - 23:07. Honeybadgers, thanks for the pictures and detailed information! I was especially looking for what nibs to put in Jinhao pens, so this is extremely helpful. The only thing is, do Knox nibs have identical specs to JoWo nibs? Fpnibs.com uses JoWo nibs for their custom grinds, so I need to make sure they will fit. Where did you get that glass smooth Knox OBB?? 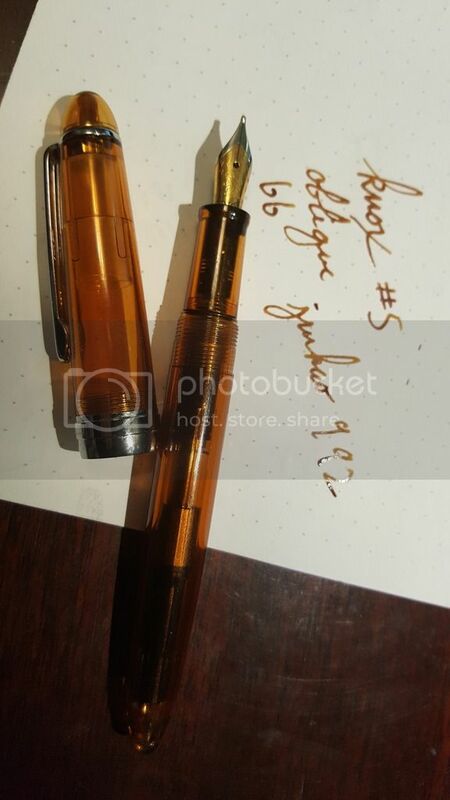 Same goes for #6. a #6 custom 18k JoWo in my TWSBI Vac700 fits all the #6 pens I've tried it on, same as all the #6 nemosine, goulet, and knox nibs. Check out my review of the #5 knox OBB. it's a spectacular freaking nib. Edited by Honeybadgers, 29 May 2017 - 00:43.